Hi hello, how are you today? I hope you’re doing great. 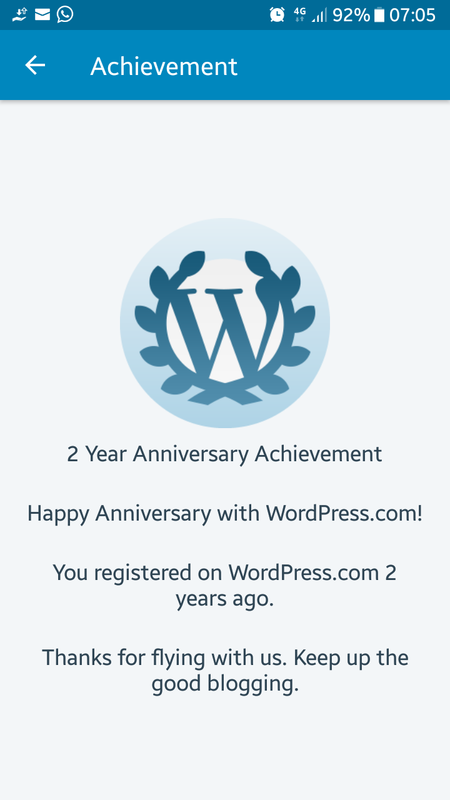 It’s been two years since i began writing on wordpress. Initialy, i didnt expect much in creating a blog and start writing. At firts, i was just wanna share my stories about journey of me and my ride i named ilsa. Where we had been, what new mods i put on her, my safety gears and other stuff. Now, my small tiny blog is kindda accepted (i apreciate it you guys.. 😘). It showed by some other bloggers started to follow my blog, and numbers of reader counted by wordpress was rising. Not just from domestic readers and visitors, i got followers, visitors and readers from overseas, which is means great, awesome…😍. Few last words, i’m enjoying writting a blog, it is like writting on a digital diary, the diffirent is that your writting get to be published so the whole world get to know what’s on your mind and share them. Perhaps it get useful for those who needed the information.